The BBC's Gardeners' Question Time (GQT) recorded at Edinburgh's botanic gardens on 9 July 2016 was broadcast over two episodes. You can listen to them here now: GQT Edinburgh 1 and GQT Edinburgh 2. 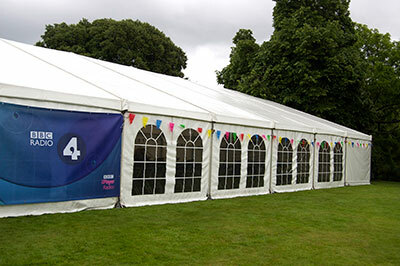 ​Questions and answers were buzzing around all quarters of the BBC’s GQT party—in the marquees, the potting shed, around the compost heap and in the vegetable plots that now preside over the west side of Edinburgh’s Royal Botanic Garden. ​The annual GQT Summer Party was in Scotland for the first time and attracted the biggest audience ever for a single recording. Over 700 loyal listeners packed the tent to capacity, for the morning session, to hear Bunny Guinness, Pippa Greenwood and Bob Flowerdew choreograph an hour’s worth of gardening fact as fun. The afternoon drew a smaller crowd but delivered an equally entertaining second programme. The panel this time, Beechgrove Garden stalwart Jim McCall, Anne Swithinbank, Matthew Wilson and Matthew Biggs were as witty and wise as the first lot. Something about being under canvas on a warm, muggy day in one in one of the most growing-centric locations in the country, made this worth giving up the day spent on the plot. The oldest running radio programme in the world (there was a suggestion there might be a rival on this, but it was quickly batted aside for not being a proper programme), 70 next year, GQT still cuts it as a relaxed and informed favourite of the airways. Questions ranged from what to do with kale that’s failing (a question from Warriston)—soil could be too acid, composting material not properly broken down—stick with it and mulch up with rotted down material and check the PH of the soil for future plantings. What should you put in a windowless bathroom? LED lighting, but not much else. How do you deal with the worm-eating flatworm? (Warriston website pest of the month July 2016)—build a stack of plates somewhere shady to attract them for disposal and encourage ground beetles which are thought to munch on their eggs (further research is being carried out on this subject). Hear these and more questions answered on the broadcast dates above. 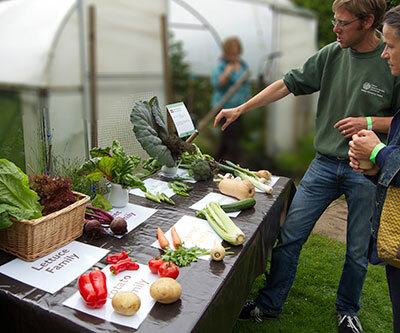 ​As well as the main BBC broadcasting events the party laid on information about bees, bread, brewing, botanical illustration, begonias, as well as advice on pests and organic growing from the GQT experts alongside RBGE staff. Check out the RGBE website for information on its continuing programme of events, classes and workshops of all things horticulture related. Bob Flowerdew spent the morning sitting on a compost heap. He declares that virtually nothing can survive a good heap turned regularly—once every two weeks at least. A good going heat is the secret, lots of air circulation, a decent sized pile and a variety of ingredients. Newspapers he suggests mulching first in a bucket of water (he keeps his at his back door, peeing into it on the way past). Empty it onto the heap regularly as pulp. Perennial weeds in bulk he also advises to give the bucket treatment, ‘no weed can survive three weeks in a bucket of water’, tipping out the subsequent sludge over the heap. Cardboard—tear it up and throw it in—he is tickled that the worms love glue. The pallet compost bin he’s sitting on is one of the best and simplest of designs, he says. Three pallets tied together in an open ended square is good, two or three bays like this, even better. But forget plastic bins of any kind, he says—too fiddly, not enough aeration, too hard to access and turning can only be done properly by emptying it out. And from all that sludge and rubbish you should end up with something sweet. ‘Good enough to eat’, says the mighty Bob, leaving us with the suggestion that he actually has. ​RGBE experts were on hand in their spacious community-friendly area of the gardens to give advice. Even if you’ve been on the plot for years there’s always something new to discover. Ben Dell, an EGP advisor, swears by his oscillating hoe, a tool he uses for about 20 minutes a week to clear all his allotment paths of weeds. 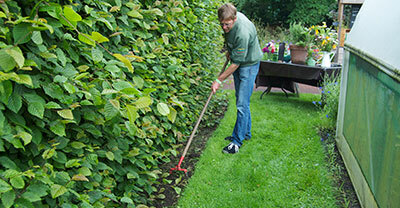 ‘It changed my life quickly and it really works’, he says demonstrating the easy way it cuts and lifts the weeds. Once hoed off, rather than gather them, he leaves the weeds to rot down in situ. 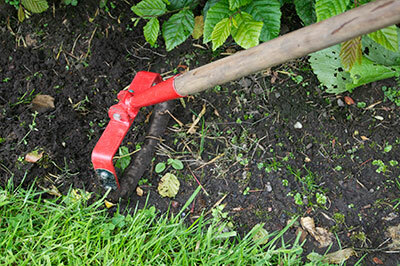 Even if the remains re-root, the hoe, if used regularly, will easily rid your paths and beds of even the most stubborn plants. He also suggests that plotholders can do a lot to discourage slugs and other pests by having as little rubble and rubbish onsite as possible. Bricks, wood piles, slates and other items stored for ‘another day’ all attract slugs particularly. 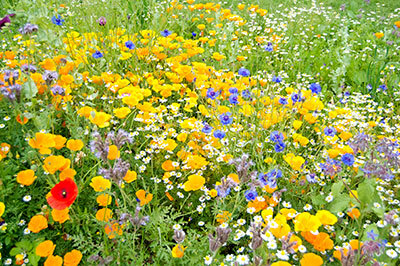 A tidy plot is easier to keep organic and the wildlife more self-regulating. Even raised beds, which he’s not entirely against, attract insects who love the damp dark between earth and boards. He prefers a plot with earthen paths which are both flexible and clean.